How Paul Ryan and House Republicans are contradicting themselves over Medicare. In the debate over the House Republicans’ budget plan championed by Representative Paul Ryan, it's been remarkable to watch the contortions and contradictions in the GOP on the issue of health care. The cornerstone of the Republican critique of the Affordable Care Act over the past year or so has been that it would lead to rationing. While Republicans initially manufactured lies about this issue—anyone remember death panels?—they eventually focused on one provision in the bill that was focused on cutting costs: the Independent Payment Advisory Board (IPAB). As specified in the legislation, the IPAB is a 15-member board of medical experts who are appointed by the president, confirmed by the Senate, and tasked with cutting costs in the Medicare system, unless Congress acts to alter the proposal or discontinue automatic implementation. The legislation also specifies that a goal of such cost-cutting should be to actually improve access for beneficiaries. At a time when rising health care costs are a concern for families’ pocketbooks and the federal budget, the IPAB was a means to maintain public oversight of Medicare but insulate it from the normal politics of congressional decision-making, thus helping ensure that best medicine was the driver of cost reductions. 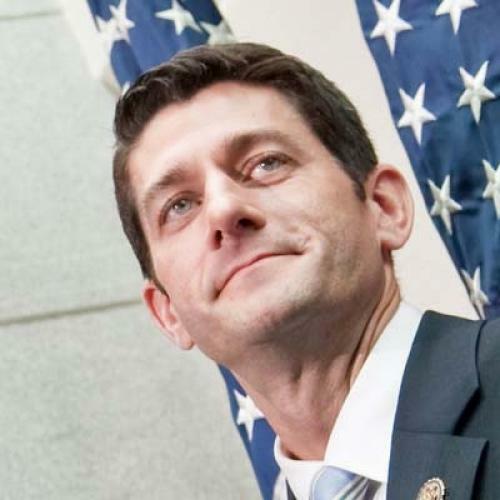 Now, more than a year after health care reform passed, Paul Ryan, facing stiff opposition to his plan to end Medicare as we know it, has taken to attacking the IPAB as a way to rebut his critics. He’s arguing that, while his plan would keep Medicare the same for current beneficiaries, the IPAB “puts a board in charge of cutting costs in Medicare” that will “automatically put price controls in Medicare” and “diminish the quality of care seniors receive.” It’s this sort of dishonest vitriol that has led to 73 House Republicans, as well as some Democrats, to cosponsor legislation to eliminate the IPAB. What’s fascinating about the posture of these cosponsors is that it runs into direct conflict to the vote the House took mere days ago on the overall Ryan budget, which passed thanks to broad Republican support. Indeed, the budget, which the co-sponsors voted for, changes Medicare into a voucher program in which seniors can only choose from among private insurance options, eliminating the public insurance that is currently at the heart of Medicare. In other words, rather than public officials, elected or unelected, making decisions as to what is covered in Medicare, the Republicans just voted to more or less privatize the program. So, , after all of their complaining about how the IPAB moved too far away from public accountability, they’ve just proposed eliminating all such accountability, insisting instead that private insurance companies know best. Would Americans really feel better with insurance companies deciding whether they or their parents get the care they need? Probably not. The truth is that Republicans are not actually worried about accountability or giving Americans more health care options. They are not even worried about cutting costs: Medicare has a much lower cost per beneficiary than private health care now, so it makes no sense to privatize it in order to lower costs. What they are worried about is public health care; they can’t stand it—and are even willing to contradict themselves and hand people’s health over to unelected, private insurers to defeat it.